Pool Cleaning Service Las Vegas (Former Aquabetter LLC) is Licensed and Insured. Making pools sparkle since 2004! Best Las Vegas Pool Cleaning Service! Our highly trained pool cleaning service technicians will test and assess what services are needed to provide you with the best quality water in no time. They will also thoroughly explain your options so you can pick the option that works best for you. We are highly knowledgeable, trained in pool chemistry and have a reputation for excellence. See for yourself why we’re the go-to source for any pool cleaning service you may need in Las Vegas, North Las Vegas, and Henderson, Nevada. WHAT SHOULD I LOOK FOR IN A POOL CLEANING SERVICE AND REPAIR COMPANY? We provide a variety of quality and affordable pool cleaning services: from swimming pool water cleaning, to pool tile cleaning, to pool filter cleaning. We offer weekly pool and spa cleaning service, pool or spa cleaning service, one-time pool cleaning service, chlorine bath (or chlorine wash), pool and/or spa drain and refill, green to clean service, and acid wash pool cleaning. Our technicians are highly knowledgeable, in-house trained, and licensed as Certified Pool Operators (CPOs). We can even check your pool and spa equipment for you and give you recommendations for maximum efficiency. Pool Cleaning Service services Las Vegas, North Las Vegas, and Henderson, NV. Call us at 702-354-6594 for a FREE no-obligation consultation or click to contact us. Balancing swimming pool chemicals can be a delicate process. Too much pool chemicals can be harsh on your skin and even damage the finishing of your swimming pool. High levels of calcium, total dissolved solids (TDS), and CYA (conditioner) can mean your pool needs to be partially or completely drained before it can be properly balanced. Not enough or inadequate pool chemicals can facilitate the proliferation of algae and other nasty organisms in your pool water. Why not let our friendly Pool Cleaning Service experts take care of it for you? We offer quality and affordable one-time pool cleaning service, as well as weekly pool and spa cleaning service, and weekly pool and/or spa cleaning services. Wondering how to clean a pool filter? How do I even know when my pool filter needs to be cleaned or how often? Depending on what type of pool equipment and filter you have, it should be removed and cleaned once every 2 to 4 months. Not performing this service will affect the quality of the water in your pool and can even damage your filter and pool equipment. We offer periodic pool filter cleanings (frequency will depend on the exact filter you have) and one-time service. Our technicians are highly knowledgeable, trained in-house, certified, and can take care of all your pool, spa, and pool filter cleaning needs at affordable prices. So why not just relax and let our professionals at Pool Cleaning Service take care of it for you? We offer several monthly pool cleaning plans year-round but if you only need a one-time cleaning, Pool Cleaning Service can help you too! What is the pool cleaning service cost for a one-time pool cleaning visit? That will depend on how well maintained your pool is and if we are providing just pool water cleaning service and pool chemical balance. If your water has yellow or green algae, or there is equipment failure, you may need extra services at additional cost. If your water contains a lot of algae, you will probably need another service like a chlorine bath or acid pool wash cleaning instead of a regular one-time pool cleaning service. We recommend our expert Pool Cleaning Service technicians come over for a free no-obligation consultation to better assess your pool and what services are needed. White stains on your pool tiles are usually calcium build-ups. The tap water in Las Vegas is rich in calcium, and most pool finishes also consist of calcium compounds. This means if the chemistry of your pool is not properly balanced on a regular basis, all this calcium can start to accumulate on the pool tiles and, in some cases, even form little lumps in the bottom of your pool. Additionally, oils and fat (from sunscreen, old skin, etc. ), and high pH levels can help accelerate the appearance of these unsightly stains on your pool tiles. Pool tile cleaning service requires a special machine and expertise to remove these deposits from the tile without damaging it. Our technicians are Certified Pool Operators (CPO) and professionally trained to clean pool tiles properly. Does your swimming pool look more like a swamp than a place your family could spend their summer afternoons enjoying? If there are green algae in your pool, stains in the finish, or you can’t even see the bottom of it, it may be time for an acid wash pool cleaning. In cases like this, your pool needs to be drained before it can be properly treated with an acid wash. However, this process needs to be done only when necessary because it removes a layer of your pool finishing along with the stains. But don’t worry, your pool can withstand several of these treatments before it actually needs to be refinished and by that time it probably needs to be refinished anyway. Let our professional technicians at Pool Cleaning Service restore your pool to sparkling at no time! Pool Cleaning Service is proud to provide honest, great service at affordable prices. 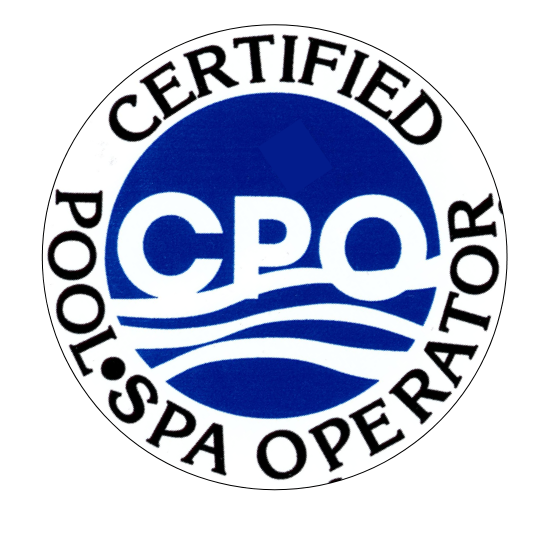 Our company is licensed and insured, professional, and all our technicians are certified pool operators (CPO). We love chemistry, we love what we do, and we are dependable. Our technicians will explain what needs to be done and what you don’t need to worry about. It’s quality pool and spa service that you can trust! Pool Cleaning Service has been operating in the Las Vegas, Henderson, and North Las Vegas, Nevada, since 2009. In addition to our weekly pool and spa cleaning service plans, we also offer pool/spa drain and refill, chlorine wash, acid wash, and green to clean service. Our goal is to provide professional, reliable swimming pool and spa cleaning services and repairs at rates that fit your budget. Excellent service doesn’t have to cost an arm and a leg. Although high-quality standards increase considerably a pool company’s costs, at Pool Cleaning Service we believe in providing value. We strive to earn and keep your business for the long run instead of making a quick buck here and there. Customer satisfaction is our number 1 priority. Let a professional manage your pool and spa water quality, save your pool’s finishing and equipment and possibly your family’s health. pool cleaning service near me? Are you unhappy with your current pool company and wondering: “Is there affordable and reliable pool cleaning service near me?” Fear not! Our certified pool technicians can take care of all your pool, spa, and filter cleaning services in most areas in Las Vegas, North Las Vegas, and Henderson, NV. Anthem, Canyon Gate, Desert Shores, Downtown Las Vegas, Green Valley, Mountains Edge, Paradise Valley, Seven Hills, Silverado Ranch, Southern Highlands, Spanish Trails, Spanish Hills, Spring Valley, Summerlin, Rhodes Ranch, The Strip, Winchester. If you are unsure if we service your area or if you would like a FREE no-obligation consultation, please call us at 702-354-6594 or click to contact us. Pool chemistry, when not done properly, will shorten your pool’s finish by many years, if not decades. With refinishing jobs costing up to tens of thousands of dollars, it’s easy to see the value of preventive maintenance. As an example, a simple drain and refill of your pool followed by proper chemical balance can prevent scale formation and resolve issues with your pool not responding to chemicals due to TDS or Conditioner levels being too high. Phosphates and Metal levels in the pool water are often overlooked by pool owners. Even if your pool is otherwise perfectly balanced, high levels of phosphates can be hiding in your pool which is one of the reasons regular pool water cleaning service is so important. Phosphates will make your pool algae-prone as they are basically algae food. The longer and the more algae survive in your pool water, the more resistant they become, leaving the frustrated pool owner engaged in an endless and unproductive cycle of adding chemicals and brushing the pool. The cost of chemicals alone, if you’re attempting to properly maintain a pool yourself, can easily start at $50 per month for smaller sized pools, more for larger pools. This cost doesn’t even take into consideration the time and effort that you’d put into maintaining your pool each month. What is your time worth? Skimming leaves/debris, vacuuming the pool floor, brushing walls and tiles, emptying skimmers, pump baskets and pool cleaner canisters takes an average pool owner 50 minutes each week. That may not seem like much until you realize that means that a full workweek of your valuable time each year is dedicated to basic pool maintenance alone. You will also need to spend time making trips to your local pool supply store, as well as storing potentially dangerous chemicals in or around your home. Even if done perfectly, which can be tricky, the supposed savings would be at the cost of your free time, time that could be spent enjoying your pool instead of maintaining it. You’ll need a little, sometimes quite a bit, of knowledge in each of those areas in order to maintain your pool, keep it properly balanced, and successfully perform repairs. And if that does not work you could potentially damage your pool finish and equipment and wind up having to hire qualified labor to get it fixed. So saving a little could take up a lot of your time and actually cost you a whole lot more later on. The secret to a sparkling and inviting pool/spa is to keep it properly functioning and keeping up on routine maintenance. If you’re not a pool professional, it’s quite likely that you will fall behind on the pool upkeep. Life happens! You have things to do that are far more fun than pool maintenance. You go on vacation, you spend family time together, and it’s easy to push pool maintenance just one more day, then one more day longer, and days turn into skipping just a few weeks. That’s how something as simple as algae starts, clogging your filter and leading to equipment fatigue or failure resulting in costly repairs with many man/hours of work to bring your pool back to life. Do you normally stay on top of things but know that you may miss a couple of weeks? Give us a call and our team will pick up the slack on your pool cleaning service until you’re back on track. Despite your best intentions, something has gone wrong. A lot of pool owners have been there at some point. The talk of preventative care is great, and perhaps you knew that you should have had a pool filter cleaning service but there are times when more needs to be done. Depending on the severity of algae growth, a chlorine bath or acid wash pool cleaning may be required. While an acid wash could be the proper measure to your specific situation it should not be performed too often, generally speaking you want to keep acid wash pool cleaning limited to once every 3 or 4 years to rip the most cost/benefit out of it. Any more than that, while it may be required to fix your pool, will cut into the life of the pool finish and will add to costs in the long run. We know that it can be intimidating to look at a green pool and to think “Where do I start? Where’s a reliable pool cleaning service near me?” Have no fear, we’re local and we’re here to help. The best thing for your pool is monthly maintenance. You’ll get the most life and use out of your pool at a lower cost over the age of your pool. We have the goal to build a great relationship with all of our customers. We want to give you the most bang for your buck and we know that pool cleaning service cost, over time, will be far better than having to do a costly repair. Our technicians use the highest quality pool testing kits to make certain we always have an accurate reading. This is critical to head off any problems before they occur. Many pool cleaning companies use store bought tests, whose accuracy diminishes as it sits on the shelf. Our standards require that we always use new reagents allowing accurate results and the best treatment and care for your pool. In addition, we optimize your existing equipment settings to ensure the most cost effective setup. The savings from our cost cutting advice is often enough to cover the cost of our monthly pool cleaning service. We love to over deliver and provide value to anyone we can. Whether you choose our company or one of the many other pool cleaning companies in Las Vegas, here are a couple quick tips that may help you save money and extend the life of your pool. Save up to 90% on energy costs with a variable-speed pump. Check out a Borax conversion to keep your pool sparkling and preserve the life of your pool. Our reputation for quality is unmatched by our competitors. My pool was green and nasty. It looked like a scary swamp and other companies wanted to charge way more to get it fixed. Pool Cleaning Service got me scheduled for the next day, took care of it, and explained what I need to do to prevent this from happening again. You can tell they know their stuff. Great service! They come every week and take care of my pool and spa. Their service is affordable, reliable and I haven't had any issues with them like I did with other pool companies in Las Vegas. Jeff is very knowledgeable and honest. He will tell you if you need to replace something or an extra service but, most importantly, he will also tell you when you don't. Other companies don't do that. I trust him with my pool because I know he does good work and he won't charge me for things I don't need. I highly recommend Pool Cleaning Services. Serving all of Las Vegas, Henderson and surrounding areas. Top rated Las Vegas pool and spa cleaning and repair company. We are ready to help you with all of your pool and spa needs.